Here's my latest crafty find, The Cute Book. It is indeed, very cute. Our friends in Japan have discovered that we love their craft books, so I'm sure this is just the first of many Japanese craft books translated into English: yay! A quirky bio at the top of every page even tells you your mascot's personality. Also many ideas of things to sew your felt mascot onto - basically everything under the sun is suggested, and you guessed it, those fuzzy guys look cute on everything. 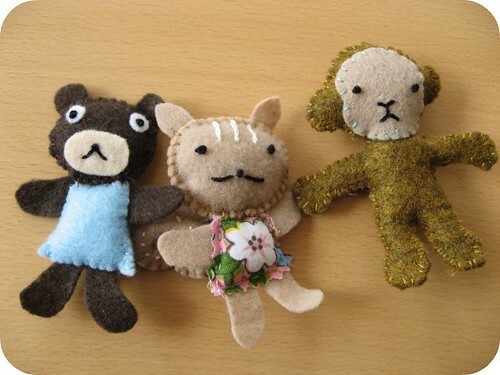 For sample pages, or to see a few felt mascots in action, visit their blog. 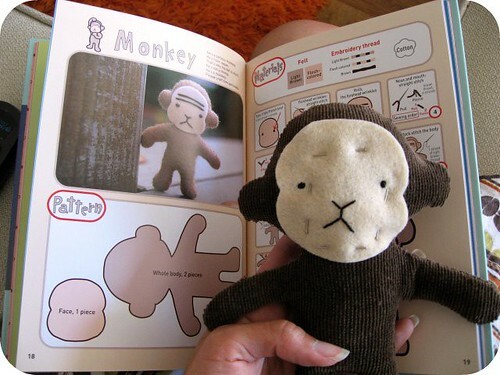 hooray for monkeys. hooray for japanese books in english. i am heading over to amazon.com right now. I would say that if you were aiming for cute, you achieved it. My 2 year old was sitting beside me while I read your post and she said - "I might snuggle with these boys" when she saw your new stuffies. Isn't that book great? 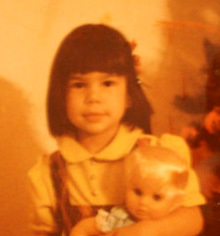 Yours turned out adorable. The translations are interesting--the Liar is Warumono in Japanese, which also translates to rascal or scoundrel. The Sprite is a Kappa, a sort of water-creature who used to be more fearsome--he dragged swimmers underneath the water and was used to warn children to stay away from rivers. Now he is often portrayed as being much cuter. The kidnapper in Japanese is Kotori, a child-taker demon but also apparently a game which seems a little less ominous! Whoops! Need to make a correction. Warumono is Bad Guy in the Cute Book, which is pretty much the same as rascal or scoundrel. The Liar is Usotsuki in Japanese, which is more like fibber, just a subtle difference. 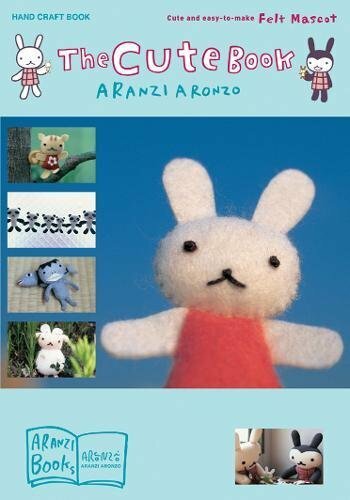 I am totally addicted to stitching mascots and I'm happy to see that some of these books are translated into English. I get the Japanese ones from YesAsia and I find that the instructions are very easy to follow, although I don't get the fun of reading the cute names and other extra stuff like that. I love this book! SO CUTE. And what are you doing critising your own stitching ability? Shame on you! Susie, I saw your mascots and they're adorable!!! Yes, I hope they translate ALL of them!